IFIM Center for Professional Learning was established to serve the ever increasing demand for quality distance education in India. 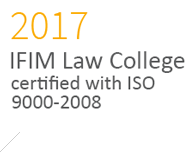 IFIM is recognized by AICTE, UGC (University Grants Commission), DEB(Distance Education Bureau), Ministry of Human Resource Development, Govt. of India. To ensure quality, IFIM Centre for Professional Learning has mobilized the best of academic resource for teaching, evaluation, e-Learning and self-learning material prepared from IFIM Business School as well as from the industry. In order to ensure quality, IFIM CPL gets the best of academic resources for teaching, evaluation, e-Learning and self-learning material prepared from IFIM as well as from the industry. The curriculum is comparable to that of any full time management institute. The curriculum is designed and constantly updated by the Academics Department comprising faculty from top ranks of the industry and having several years of teaching experience. 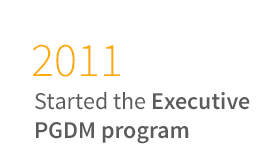 The two-year post graduate diploma in management develops a candidate for a career in Marketing industry and services. The programme facilitates learning in theory and practice of different functional areas of management and to equip the students with an integrated approach to management function and managerial skills. *Electives – 3 Major, 1 Minor in each semester. All elective courses are of 4 credits each. The course Post Graduate Diploma in Management (Finance) helps to have intricate knowledge of finance, accounting, taxes/tax structures and the relations of all these aspects on overall business dynamics of complex Industries. The basic objective of this course is to develop future finance managers by providing knowledge, skills and practical orientation in financial field. The primary objective of the course is to impart knowledge and skills and, just as important, to transmit certain values. The institute proposes to make the students aware of the occupational mobility and voluntary compliance to ethics, law and social responsibilities. The Institute offers a two-year Programme in Human Resource Management on the completion of which, students are conferred with Postgraduate Diploma in Human Resource Management. The HRM course is the oldest and the most prestigious of the Institute's teaching programmes. Ranked as the best programme in India and the Asia-Pacific region, it aims to equip the students with the knowledge and skills required for managing HR in a way that contributes to the development of individuals and organizations. The major thrust areas are Human Resource Planning, Human Resource Information Systems, Selection, Performance Management, Training and Development, Compensation Administration and fostering harmonious employer - employee relationships in the framework of state regulations. 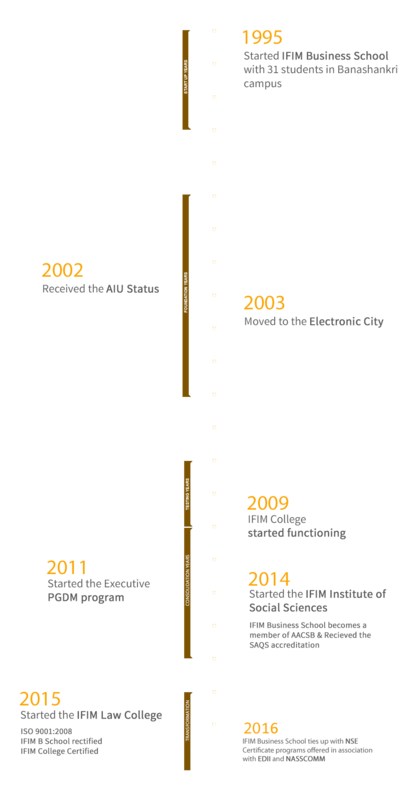 The admission process for IFIM is a very simple one. It involves 5 steps that commence as soon as you fill the application form. Post filling the application form, you will receive a call from our counsellor who will guide you with the selection for the right course according to your requirements. Once you have chosen the desired course, our counsellors will guide you through filling the application form. Once the application form is filled, we check the validity of your documents that are required for the course. After the document verification is done, you can proceed with the payment process. There is choice of multiple options for fee payment. Once you are enrolled, we generate your student id, and we dispatch your study material along with your I-Card and Admission Letter within 7-10 working days. You can look out for new opportunities with the help of different courses that we offer. You can also chat with them or apply. You can apply by sending your completed application form by email or by post. You have an option to either pay the fees in lump sum to avail exciting offers or in convenient installments. It is easy to pay fees with the help of convenient payment options by debit/credit card, bank transfer, cheque etc. As soon as we receive your documents, we send them for verification. Post verification, your admission is confirmed. A student id is generated once the admission is confirmed and the student kit along with the student ID, Study Material is dispatched within 10-15 working days. 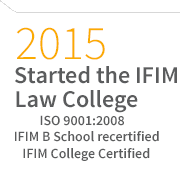 IFIM located in Bangalore, is a 20 year old institution and is one of the top “B” schools in India. It has been consistently ranked as ‘Bangalore’s No.1 Private B-School’. IFIM also runs a College offering UG and PG programs in IT and Management and a Law college. Is IFIM recognized by government authority? IFIM is recognized by All India Council for Technical Education (AICTE). IFIM is a member of AACSB. IFIM is accredited by SAQS. NAAC Accreditation is in progress. 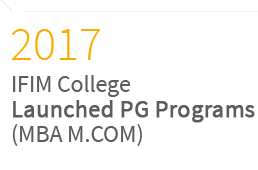 What are the programs offered by IFIM Centre for Professional Learning? 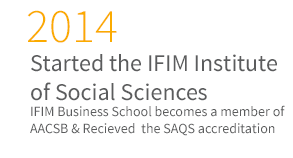 IFIM has been consistently ranked amongst the top in recent B-School surveys. Honoured as an ‘Outstanding Business School (South)’ at the National Education Awards 2015. Honoured as the ‘Best Institution for Promoting Industry-Academia Interface’ by ASSOCHAM. Recognized as the ‘Most promising B-School with Excellent Industry Interface’ at the Asia Education Summit, 2015. Ranked Bangalore’s No. 1 Private B-School - The Outlook Survey, 2012. ‘B-School of the Year’ - Bangalore Management Association Awards, 2013. Ranked No. 28 All India - NHRDN People-Matters Survey, 2013. Award for Effective Industry-Institute Engagement- Indian Management Conclave 2013, MBA Universe. IFIM provides innovative, industry relevant curriculum focused on ‘Continuous Employability’. What is difference between an MBA and Post Graduate Diploma? 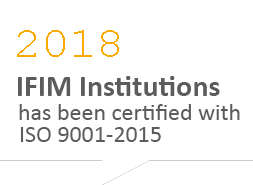 Is IFIM Certified by ISO? There are 2 Academic Sessions in a year i.e. January and June. 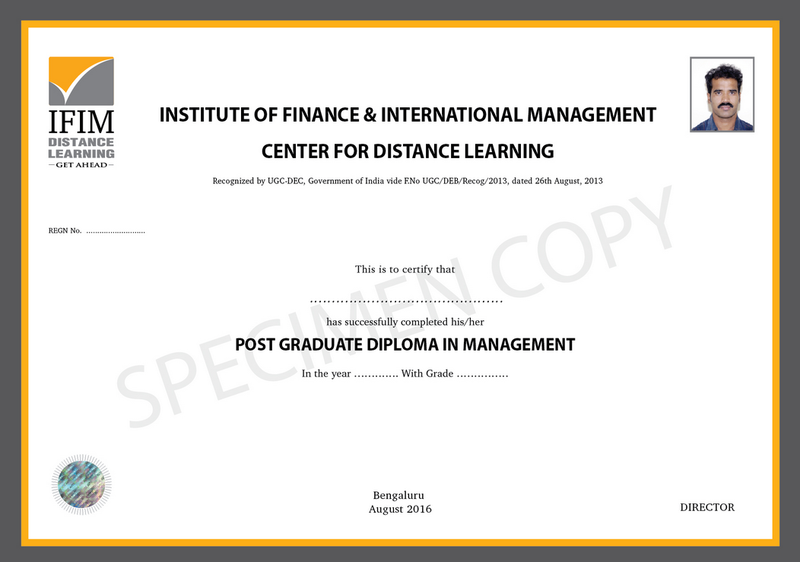 What is the minimum qualification for admission into IFIM –Distance Programs? Candidates are required to have a bachelor's degree in any discipline from a recognized university with a minimum aggregate of 50%. Candidates should have a bachelor's degree in any discipline from a recognized university with a minimum of 24 months of work experience. Given below are 4 easy steps for your admission to the program. Step 1: Register Online . Step 2: Complete the application online and upload your documents. Step 4: On receiving the admission offer, pay the balance fee. What is the List of Documents to be submitted for Admission? Application form completely filled & signed. Scanned copy of Graduation Degree/Mark sheets. Scanned copy of ID Proof such as PAN Card, Driver’s License etc. How will the student come to know about the status of his/her application for Admission? 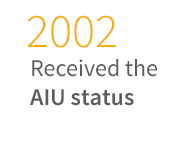 All the documents/payments submitted are scrutinized & verified by the Enrollment Department. If everything is in order, the admission is processed and a SMS/Email with a welcome letter confirming the admission is sent to the student. If additional information is required, the students are contacted via email & phone. The duration of the course will be 2 Years and students will be given a provision to complete their course in 4 Years from date of Joining. What kind of academic help the student receive? IFIM’s faculty conducts virtual classes during the semester. Students are intimated in advance. Students have the option to attend the lectures on Campus at Bangalore or Virtually thru the Online Lecture Platform. The lectures are archived for future reading and reference. Students are required to appear and pass all mandated assignments & term end examination for all the courses in the semester. What is the examination schedule? Examinations are conducted 2 times a year viz., February and August. What types of questions appear in the assignments/examinations? Assignments/examinations will contain objective questions. What is the mode of examinations? Examinations are conducted online, at the examinations centers. In order to pass in the course the student has to score overall min 40% including assignments marks. The student has to get minimum 40% in assignment as well as the final exam. If the student scores less than 40, he/she will have to reappear for the subject. What is the ratio of marks considered for the final certification? Examinations marks contribute 70% & Assignment marks contribute 30% weight age for the final certification. Every subject will have minimum 2 assignments after solving which a student will be eligible to give his/her final exam for that particular subject. The results are declared one month after the examinations are completed. When does the student get certified? Once all the required assignments or examinations, are completed and passed, the certificate will be awarded.